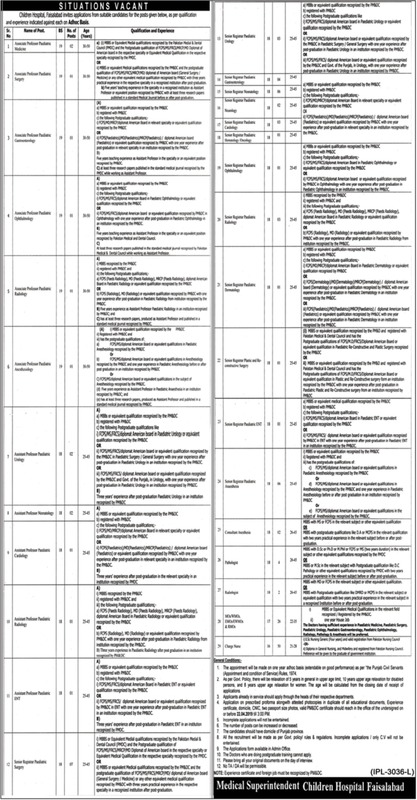 You may have at this page DHQ Hospital Faisalabad Jobs 2019 Pakistan Latest. 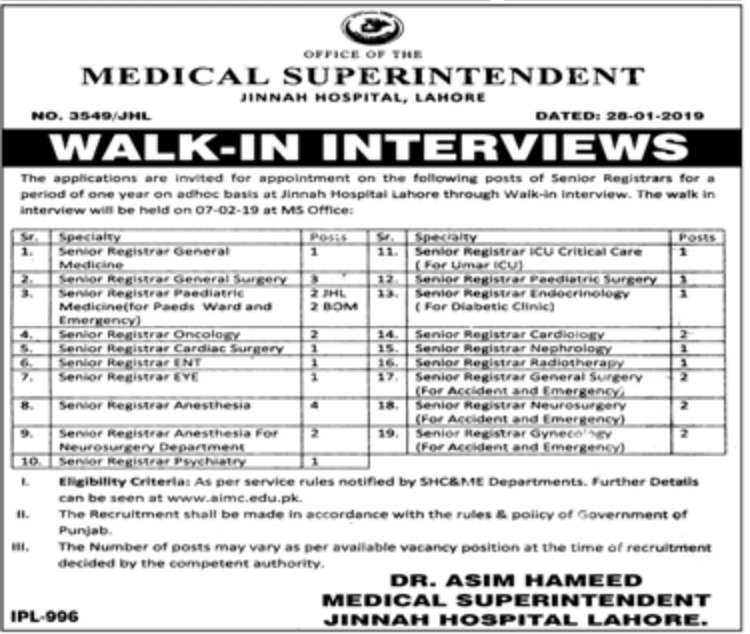 The positions of Senior Registrar, Additional Director, Consultant, Community Ophthalmologist, Medical Officer & Woman Medical Officer, Bio Medical Engineer are currently available. The right persons may submit their applications upto 23rd March 2019. 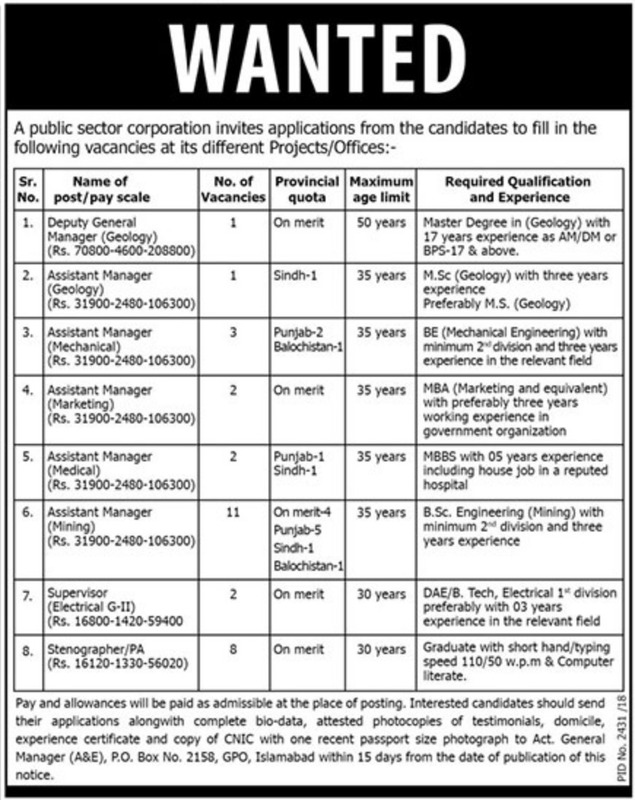 The candidates who want to apply must follow the guidelines given in the job advertisement. Furthermore, ensure to submit your applications on time. 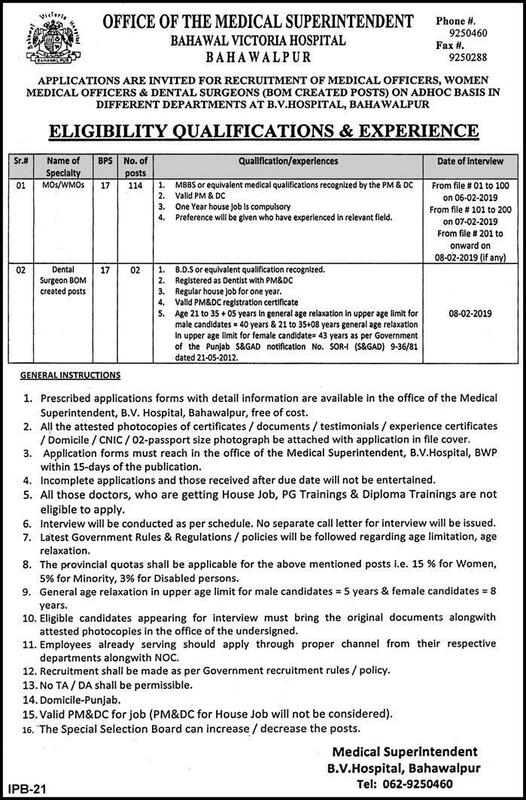 The details can be viewed from job advertisement of DHQ Hospital Faisalabad published in The Nation dated 7th February 2019.